This 'Guide' provides several lists that include essential items to bring whilst fursuiting, and also some speciality items and tasks to bring to or do at specific events. The 'Pre-Suiting Checks' section more so presents some abstract checklist items and is a good way to assess situational awareness. The entire checklist is intended to be useful for any and all fursuiters, newbies and veterans, for any and all outings, from conventions, meets, and fursuiting outside of con/furry spaces. Of course, nearly all of the checklist items are optional and are able to be adapted to the specific outing that you'll be attending. The key things are just to plan accordingly for your event, have plans in case of mishaps, (falling, fursuit malfunctions, dehydration, etc,) and stay safe. But, as with any and all fursuiting, the number one rule is to HAVE FUN!!! I hope this is helpful to someone out there! Feel free to download/print/share this as needed. Think of something I've overlooked? Let me know! Awesome! This is very helpful! I will be attending my first con in January. I'm not staying at the hotel (cuz I live like 30-40 min away) but it's still helpful to know what I need for the con and what I should get to keep at home (like the drying fan for example) Thanks for posting this! You're welcome! Great to hear! I like furries kinda so listen to the guide! Interesting stuff! Looks like you've got quite a system for fursuiting. I don't have a fursuit myself, but if I ever do get one someday, this might be useful to refer back to. Nice to meet you! And thanks! ^^. And thank you, both, for your service as well! Thanks a lot, and that's great to hear! Hope it can be of help! . Take care! Haha, it's fine. And oh man, I would advise from going to conventions where there are big AoT and Hetalia panels going on - cosplayers looove to run around in as-historically-or-currently-accurate-as-possible military get-ups, complete with ranks and flags and all. I really don't mind the outfits at all, but the ranks, and especially countries' flags, is kind of in that grey territory. Yeah, I try to stay away from communities on Tumblr and FB, (though I don't have an FB anyway.) Had some loud-mouths try to tell me that THEY KNOW EVERYTHING there is about the military, and I was just like, 'See ya,' and disabled my anonymous Asks after that. Yeah, pal, I'm sure your experience sums up the ENTIRE MILITARY, congratulations. Now get back to work! And thanks! Yep, fly pretty regularly, am prepping for a series of missions at the moment. And eh, call me biased, but a pilot in a jet or crew in a recon jet can never be replaced by a UAV, no matter how many millions of dollars they throw at 'em, haha. Ugh, the struggle is real! I got lipstick on the nose of one of my suits a while back, and I am still working on rubbing it out. I don't get it - people will wash their sticky hands before they rub them on their shirt or pants, so what makes them think it's okay to rub all over fursuiters is beyond me. Yeah, that kind of drew the line for me. I mean, I could totally get it if THEY WERE in the service, but to throw on some mock 'fantasy' military gear and throw a serious salute at attention AND not being in the service just made me cringe. And yeah, haha, you're right, at least they weren't posing as the highest rank they could find, lol! This will be very handy! I'm going to my first convention this August! Thank you~! Thanks a bunch! Happy to hear! Yea! This is awesome! Thanks! Welcome! Great to hear, thanks! I love lists, too. Even though I don't dance along in a fursuit, there are still some great general guidelines (and some interesting insights) about working a convention in a costume. Thanks for posting! 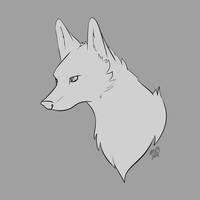 LobitaWorks FAQ Part One: Supplies, TutorialsI've been receiving a lot of the same kinds of questions about my work, especially when I post WIPs, and... bless you guys, but I don't have the energy or patience to keep answering the same questions over and over. xD So I will start linking this at the bottom of my submissions if I can remember. It's organized into sections and hopefully isn't too long. Q: How do you see in a fursuit head? A: In mine, the vision ports are almost always the iris/pupil area. It’s made of buckram, a fabric used in hat making and book-binding that has a fine mesh. It’s akin to looking through dark sunglasses. Due to simple light physics, because it’s dark in the fursuit head, you can see out, while onlookers can’t see inside.